I'm back with another look from my Caress Girls Night Out Event. I love doing makeup on my best friend Alex...she's always willing to try something new and she's definitely not afraid of color or lashes! She was wearing all black so I could pull out pretty much any color combo with her. In the end, we decided to go for sultry purples...I love the way the color looks on her skin tone. I think i'm definitely going to try and recreate this look because the color combination was gorgeous! 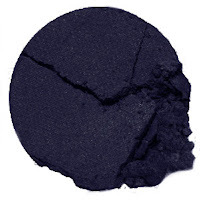 I used the bright purple and navy to make a smokey eye and the colors together are beautiful. Per Alex's request I always make sure to throw in some extra contouring the mix :) I didn't get too many getting ready shots with her because she was one of the last in my chair but I got a lot of party shots! In my opinion, the over-flashed shots don't do the makeup justice, the color was so much more vibrant in person! Hope you guys enjoyed! Stay tuned for more looks from my Caress Girls Night Out! I love both of the looks. You all look so pretty! Very cute! You girls look great! I love your blog. i love your make-up tips. I would like to have somt tips about dying my eyebrows without looking like a freak. Have done any tutorials on that subject?